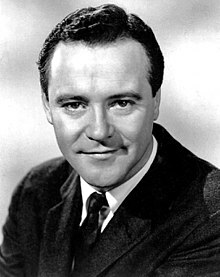 Jack Lemmon (Los Angeles California, 8 de freàlzu 1925 – New York, 27 de làmpadas 2001) est istadu unu attore e musicista americanu. Aiat trbagliadu in pius de 60 films, tra sos cales: Some Like It Hot, The Apartment, Mister Roberts, Irma la Douce, The Odd Couple, Save the Tiger, Missing. Siguramente sa mezus copia la faghiat cun sa grande atrice Shirley MacLaine. Ùrtima modìfica su 28 Trì 2014, a is 11:02.